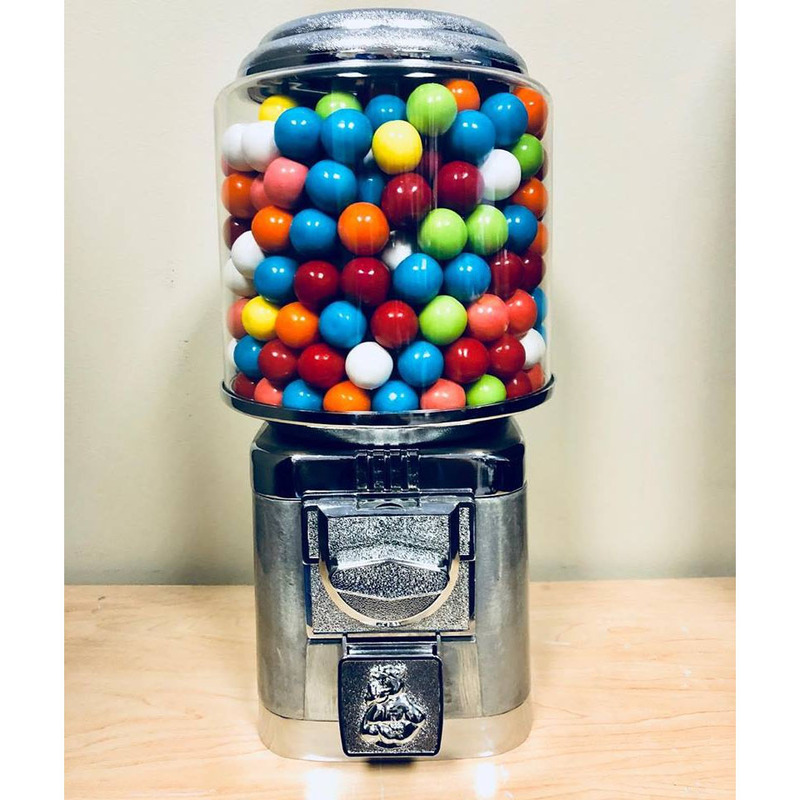 Our Industrial Gumball Machine by Rhino is a custom one-of-a-kind version of our classic machine with the barrel shape. Includes all the features of the commercial grade Classic Rhino in an awesome raw metal finish. This will fit into your home decor or office decoration with a gumball machine like no other. we can also convert this machine to a free spin or to accept tokens so you can easily place in your home or office. Standard Rhino Classic Features: The Rhino Classic is one of the few machines on the market featuring a tough metal body. The Rhino Classic is pre-set to a 25 cent vend which will also accept the Canadian quarter or has the option to upgrade to a 50 cent or .984 token mechanisms. The Rhino Classic vending machines hold about 10-12 lbs of small candy and 360 1-inch gumballs or toy capsules/bouncy balls. All Rhino Vending Machines are backed up by an industry leading factory warranty. Our Industrial Raw Metal Machines can be added to any rack or stand setup. Call us today to find out more about a custom rack setup featuring our raw metal Rhinos or any other custom color! Replacement parts easily available. Warranted against manufacturer defects under normal working conditions and ordinary wear and tear for up to one year. Can be mounted on a countertop or stand.